Ariana Grande just went through a breakup and has ditched her iconic ponytail for a long bob, and we're here for it! The 25-year-old singer has been producing the most memorable tracks over the years and we think it's time to specify a song for every mood. When you just want to sway and stomp your feet and...let go. 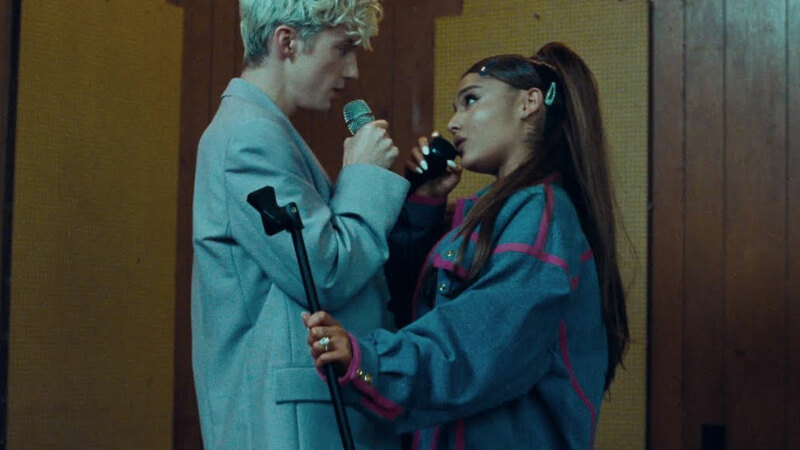 This collab between Ari and Troye Sivan makes you do exactly what the title demands: dance! It's also the perfect track for when you're just feeling chill and happy and content. When you're dealing with anxiety and pressure. Ari's been very open with her struggles with mental health in the past and this track's lyrics perfectly capture how it feels to have anxiety. At one point, we've felt like "the whole room's spinning," right? 3. "No Tears Left To Cry"
When you're super down and you need a song to wake yourself up and move! It's like Ari's saying that she's sick of being down and upset and wants to do...something. When Ari sings "ain't go no tears left to cry, so I'm pickin it up," I feel that. 4. "God Is A Woman"
When you're in a love-hate relationship. Ever feel like you're in a situation that you know isn't good for you but somehow you're still there and you feel stuck? Yeah, this song's for you. When you've got a goal and you wanna stick to it. I mean, the very first line says, "I know what I came to do and that ain't gonna change." It could also be when you just want people to look at you. You do you, CGs! When you like someone your friends hate: "These friends keep talkin' way too much, say I should give you up." Yeah, sometimes we're stubborn and we don't listen to the girls. When you're feeling trapped and you're ready to break free! Because you can't resist it anymore, right? It's time to get away from whatever it is that's holding you back. I promise after that, I'll let you go." Don't worry, we've all been there. "Thank U, Next" is for anyone who's had an ex—people who came and went and who taught you some valuable life lessons along the way. It's also the track that sparked a thousand memes!